Did you like the idea of a new Surface Book or Surface Pro 4, but thought a measly 512GB of storage wasn’t enough for you? Well, today’s your lucky day: Microsoft is now offering its flagship laptop and tablet with 1TB SSDs. They’ll cost you though. 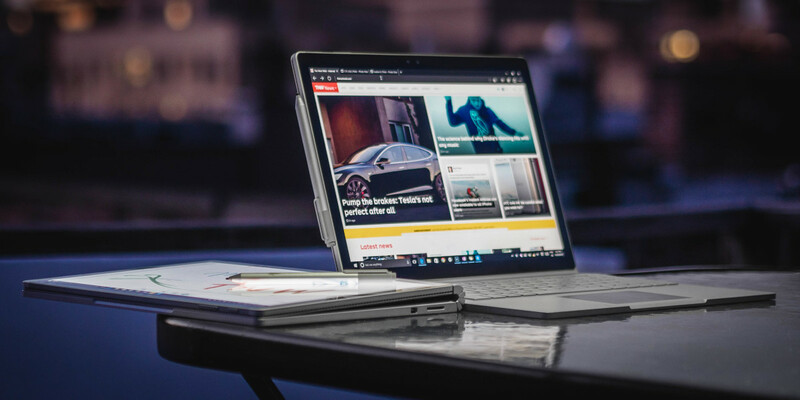 The new top configuration for the Surface Book sells for $3,199 – a full $500 premium over the 512GB model that otherwise has identical specs (16GB RAM, Core i7 Skylake processor, Nvidia GPU). The 1TB Surface Pro 4 costs $2,699, also $500 over the previous top configuration. We can’t imagine it wouldn’t just be more cost effective to buy an external drive at that point, but then those models are probably only for people who really need the extra storage on the go – perhaps video editors or the most active professional photographers. As such, you won’t be able to get these models in most stores and will likely have to order online. If you need just a little more luxury in your note-taking, Microsoft is also now selling a gold-colored Surface Pen. It’s otherwise identical to the other colors; it costs $60, offers 1024 levels of sensitivity and includes the Pen Tip Kit so you can write and draw with different textures. No word on matching gold Type Covers yet.